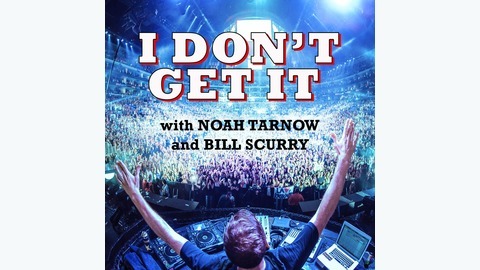 Noah Tarnow and Bill Scurry are the podcasting duo behind the middle-aged man sensation "I Don't Get It." The worlds of country music and hip-hop clash dynastically with the release of Old Town Road by young phenom Lil Nas X. Does it hold up to scrutiny by our cultural ombudsmen? 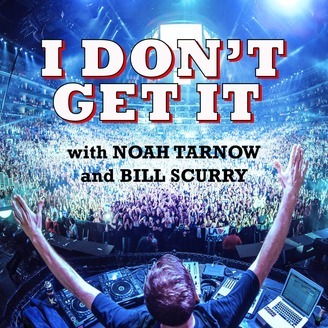 @noahandbillshow -- @williamscurry -- @noahtarnow 00:00 -- Introduction, and What is Old Town Road? 11:06 -- Why is Old Town Road so popular? 16:26 -- Would you have liked Old Town Road if you were a kid? 19:21 -- Is Old Town Road a sign of the apocalypse? 24:41 -- Is your irrational hatred of Old Town Road based on jealousy, and conclusion This week's theme: "Old Town Road” by Lil Nas X feat. Billy Ray Cyrus. New episodes every Monday morning on Soundcloud, iTunes, Stitcher, and GooglePlay!